Not just as a game developer, but also as an aggregater, iSoftBet is a force to be reckoned with. They offer a a vast portfolio of original slots, branded slots, mobile and table games. Whilst providing players around the globe with sensational games, they are very committed to responsible gaming – a combination we love to see. With more and more online and mobile casinos offering iSoftBet games, and other providers joining their aggregation platform, it is long overdue that we provide you with more information about this fast growing company. 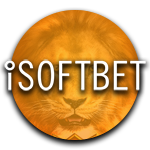 Whilst most providers listed on Onlinecasino1.com are solely known for developing games, iSoftBet also has a successful game aggregation platform. For those of you who don’t know what this is we’ll give a brief explanation. Online casinos, also called operators, can choose to add games from each provider themselves, or they can access games from different providers in one go via an aggregation platform. iSoftBet offers one of these solutions, via which operators can import iSoftBet games, as well as games from more than 25 other providers. Together, they offer more than 1000 games. Examples or providers that can be integrated through iSoftBet’s aggregation platform are Evolution Gaming, Habanero, Quickspin, Pragmatic Play and Amatic Industries. Besides offers such a wide variety of providers and games, another thing that makes iSoftBet such an attractive choice for casinos is that they are certified in some of the countries with the toughest regulatory bodies. They’re certified in Belgium, Spain, Italy, Alderney, Portugal and the UK. When it comes to their own original games, iSoftBet impresses equally as much. They have an outstanding portfolio of quality slots which can be played on numerous online casinos. Besides original slots, the provider has created multiple branded slots that are based on popular movies. The mobile slots are perfect for players who prefer to try their luck on the go, and of course a good selection of table games is available as well. All of their own games can be integrated to an online casino via their aggregation platform. One of the things we really liked to see was that iSofBet doesn’t just say that they care about responsible gaming, they actually implemented several settings in their games which can be adjusted by players, think of bet limits, deposit limits, session time limits, and several self-exclusion tools. iSoftBet has launched some great games of the years, with the majority being online and mobile slots. Their portfolio counts more than 50 slots with all sorts of set-ups and features. You will find an array of modern videoslots, as well as several classic inspired slots for those who prefer that type of game. A great example of on of their popular video slots is the Tree of Fortune slot. This Asian themed slot counts 5 reels , 3 rows, and has 243 win ways. This particular slot features Wild symbols, Free Spins with a 3x multiplier and the thrilling re-spin feature. After each spin, you can choose to re-spin any of the reels for a certain price. For example, if you hit a combination with 2 identical symbols, you can re-spin any of the other reels to try and land the 3rd symbol necessary to make a win. If you’re looking to win a large sum of money, you might want to try your luck on one of the jackpot slots. Super Fast Hot Hot is an exciting slot with a progressive jackpot. To win this, you will have to hit 5 jackpot symbols in a winning line at max bet. Even players that don’t wish to play at max bet will entertain themselves with this game, since it also features two types of free spins. If you land 3 or more Scatter symbols anywhere on the reels you’ll receive 10 regular free spins. Landing 2 diamonds in the first reel will activate 2 free spins, in which Wild and Diamond symbols are sticky. Besides completely original themed slots, iSoftBet is known for their array of branded slots. They received rights to create slot versions of certain popular tv shows and movies. They currently offer 16 branded slots, however we’re confident this number will only increase in the future. If you’re not spooked easily, you might want to try out slots like Paranormal Activity or Hansel & Gretel: Witch Hunters. Not a lover of scary movies or slots? How about reconnecting with your favourite characters from the hit shot Beverly Hills 90210, or join Rambo in his battle to win four progressive jackpots?! Last but not least, iSoftBet’s game selection would of course not be complete without a collection of table games. They offer several roulette tables, including American and European style roulette, as well as a 3D table. Other popular table games such as Punto Banco, Blackjack and Joker Poker are also available.